This past weekend, Target provoked the ire of many different varieties of New York City music fans by recreating an East Village street scene from late 1970s and early ’80s, to celebrate the opening of their new location in the neighborhood. 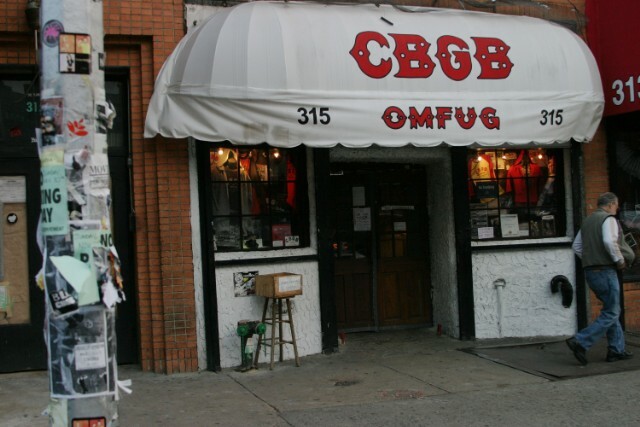 One of the “buildings” outside the store was a goofball take on the legendary defunct rock club CBGB, with “TRGT” and “BANDS” swapped in for the lettering on the original’s iconic awning. “Bands,” as it turned out, referred not to music, but complimentary Band-Aids and exercise bands with Target logos on them. A sign in the store’s window—placed next to other Target-branded items—read “The Resistance”. In conclusion, gentrification-on-steroids in New York City reached a bizarre new low this week. Read more about the backlash to the display in the NYT.